We recently tested the latest Silverstone Decathlon series power supply, but we also wanted to review one of their top-end models from the Zeus series. Silverstone has delivered many new features in the past, and their build quality has always been good. Unfortunately, the major addition for the Zeus family appears to be the bump to 1200W - power very few people will ever need for their system. However, the Zeus 1200W does make some changes to the voltage delivery subsystem that may be useful. 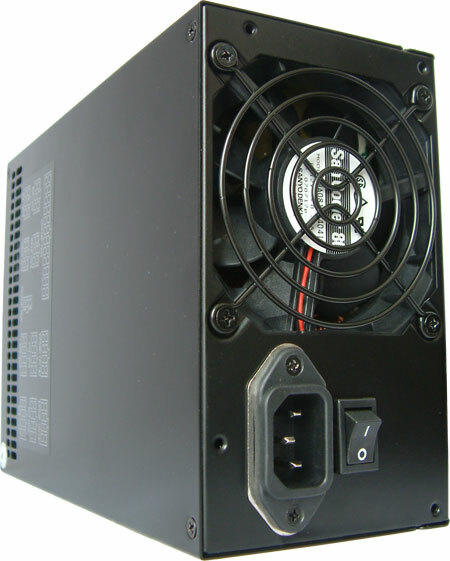 Silverstone is an established name in the market for their cases as well as their power supplies. The latest Decathlon had a superb acoustic noise level as we saw in our recent review. Before that we saw other Decathlon and Olympia models that performed decently. Silverstone also announced a new passively cooled power supply just a few weeks ago that we will test in the near future. The label shows six 12V rails with an enormous combined power of 95A. However, each rail is rated at 17A, which is not too much as we will find out later during the tests. If you prefer, the 12V rails can be combined into one massive 12V rail that will deliver the 95A alone. On the side is a little white round sticker that hides a switch used for combining the rails, but we do not recommend peeling off this sticker since you still won't be able to reach the switch. To access the switch, you will need to open the PSU casing as we will see later (Update: This problem seems to be only with the first models like the one we have tested. The units in the shops have already access to the switch from outside). The 3.3V rates 28A and the 5V rail 30A, both of which are more than sufficient. The standby rail rates 4A, which is according to the latest EPS12V norm. At what point does the house's wiring really begin to be a factor in sustaining the power draw? I know you're measuring watts vs. volts, but if someone could give a practical range and a better explanation as to the practical problems with running appliances with a high current draw. 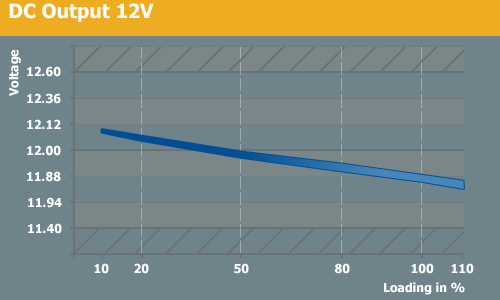 Volts being constant generally in a house, is it amperage that cannot be increased past a certain point? What I'm trying to ask, to anyone who can elucidate, is at what point does the house become the limiting factor as compared with the computer PSU? > At what point does the house's wiring really begin to be a factor in sustaining the power draw? Right about here. 1200 watts at 75% efficiency means that, at full load, this PSU is drawing 1600 watts from the outlet. Most 120v house wiring is limited to 1800 watts (15 amps) per circuit, so if this thing is sharing an outlet with almost anything (say, a laser printer), you'll be blowing fuses on a regular basis. If you're running 115VAC (i.e. in the US), then you need to look at the circuit that's tripping. It's probably a 15A circuit, which means that you can only run around 1700W worth of equipment on that circuit before you have the problems you describe. (115V * 15A = 1725W) The question is then how much power the various devices use. I wouldn't be at all surprised if your AC unit can pull upwards of 750W... and if it's a powerful model it could easily reach the 1250W and higher range. (Yup, AC is expensive!) A laser printer might use anywhere from 100W to 300W I suppose. I'd suggest getting something like a cheap Kill-A-Watt device and plugging the various power users into it. But, outside of efficiency, you are correct in that a power supply will only draw what is needed from the wall to run whatever is connected to it....no more, no less. So, a 1kW ps will only draw XA or X volts from the wall to supply what's required from it, be it 200W or 900W. It's no more expensive to run a 1200W unit, again leaving efficiency out of the equation, than a 500W unit. While that is technically true, efficiency comes into play. If a PSU reaches maximum efficiency with a load of 30-70% of the rated output, then a system that requires 350W should have a 500W PSU minimum, and for optimal efficiency you almost certainly wouldn't want anything larger than 1150W (*cough*).